Carl Rogers looks at one of the most spectacular sections of the Wales Coast Path in North Wales. 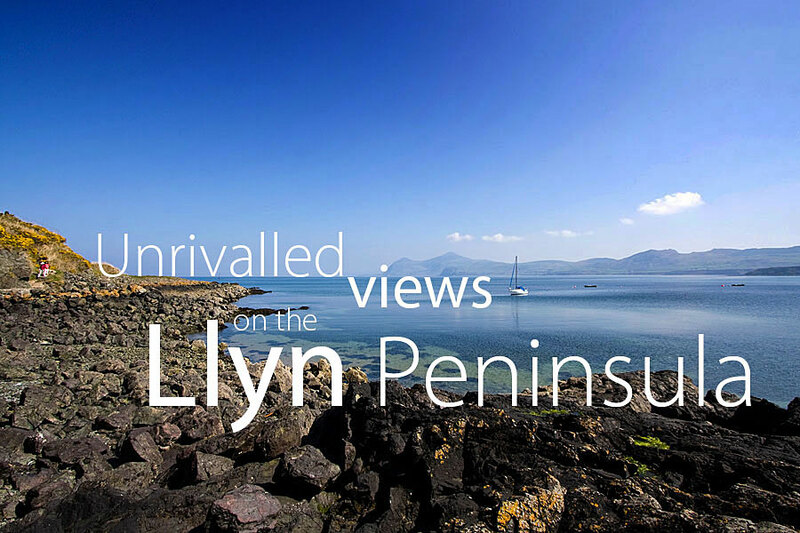 UNTIL RECENTLY, ANGLESEY ENJOYED THE LION’S SHAREof quality coastal walking in North Wales, with its superb coastal path and spectacular scenery. 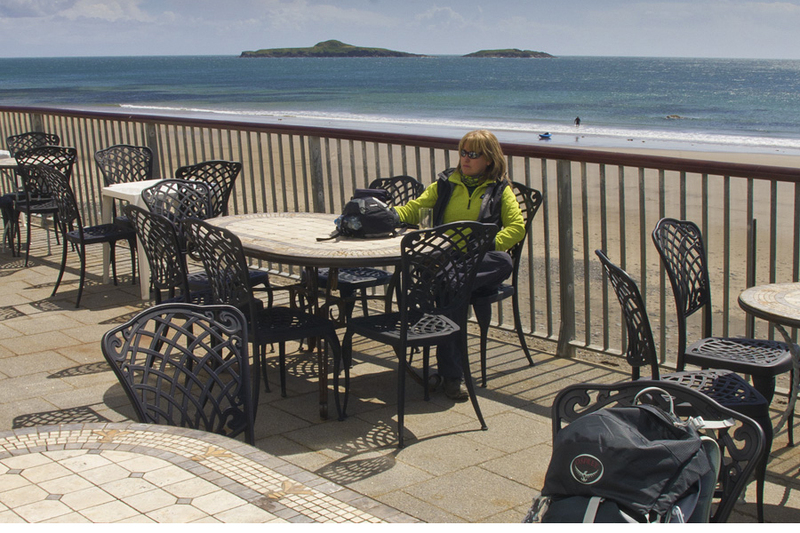 But with the launch of the Wales Coast Path in 2012, the entire coast of Wales became accessible to the walker. Beginning in the north on the Cheshire border near Chester, it makes a continuous circuit of the coast of Wales to finish near Chepstow on the Severn estuary—an incredible 870 miles or 1,400 kilometres. The entire path is not new of course — sections of the coast had been well-established coastal paths for years. 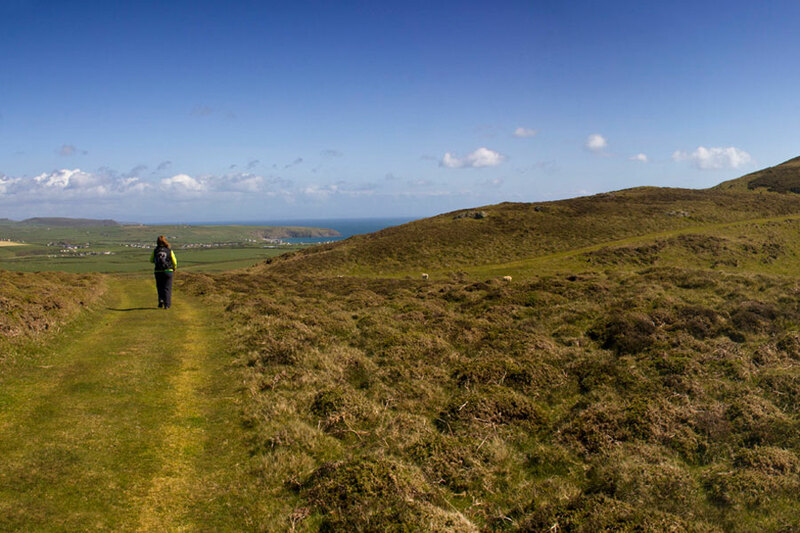 The Pembrokeshire Coastal Path was the oldest and the only section to enjoy National Trail status. 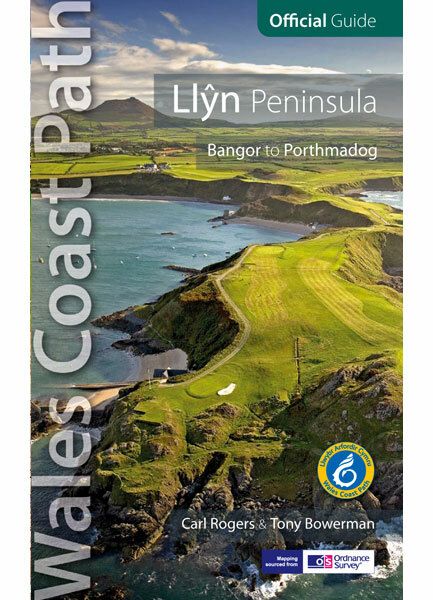 Further north was the Ceredigion Coast Path, beginning in Borth on the Dyfi estuary and linking with the Pembrokeshire Coastal Path at Cardigan; and of course in North Wales there was the Isle of Anglesey Coastal Path, which made a complete circuit of the island in around 125 miles. 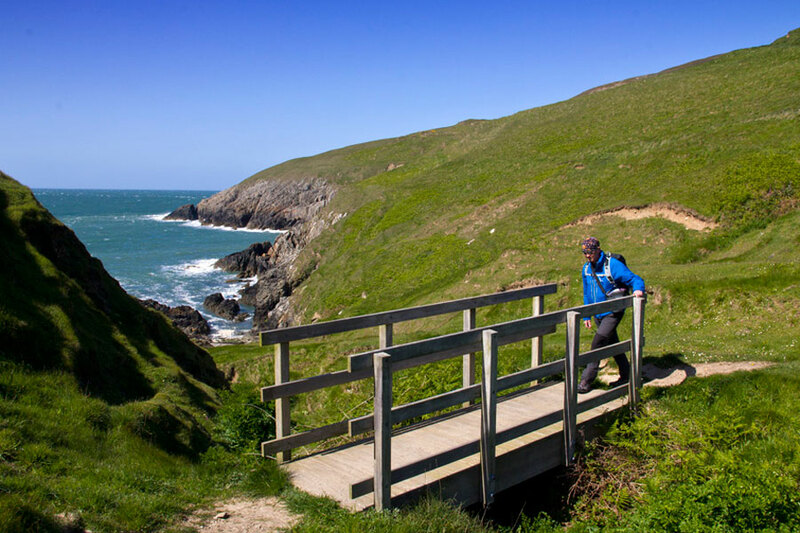 There were moves to create a coastal path around the Lleyn Peninsula too, but its development was slower than Anglesey and the route on the ground was incomplete until the launch of the Wales Coast Path. 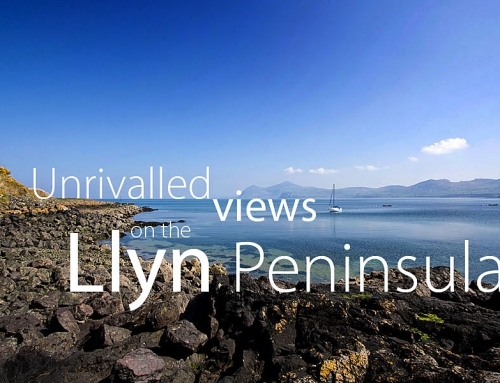 For drama and stunning scenery Lleyn offers Anglesey some serious competition. 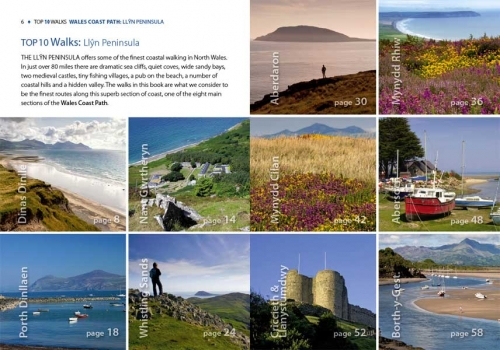 The Lleyn section of the Wales Coast Path starts from Bangor and finishes at Porthmadog, en-route it passes through some varied scenery, including the highest point on the entire path — Bwlch Yr Eifl — between Trefor and Nefyn, at almost 300 metres. It seems most likely that the majority of users will walk sections of the path as the full 870 miles will require a large investment of time—something like six to eight weeks! 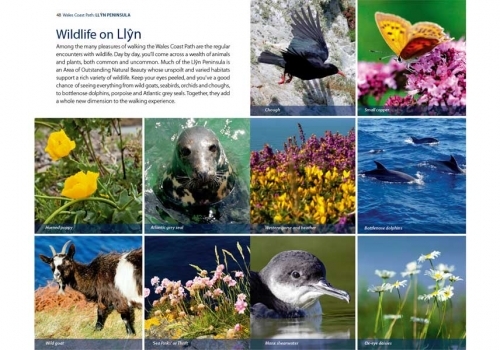 Pembrokeshire will no doubt continue to attract the most visitors with its National Trail status, and Anglesey and Ceredigion are already well known and have their own official guides. With the launch of the Wales Coast Path back, the entire coast of Wales suddenly became accessible to the walker. But what of the rest? 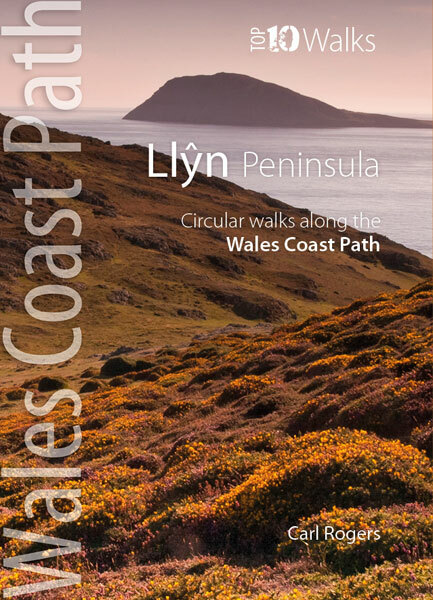 The spectacular coast of Lleyn has long been a favourite of mine and a recent commission to produce one of the new Official Guides to the Lleyn Peninsula section of the Wales Coast Path gave me an excuse to walk one of the best sections. 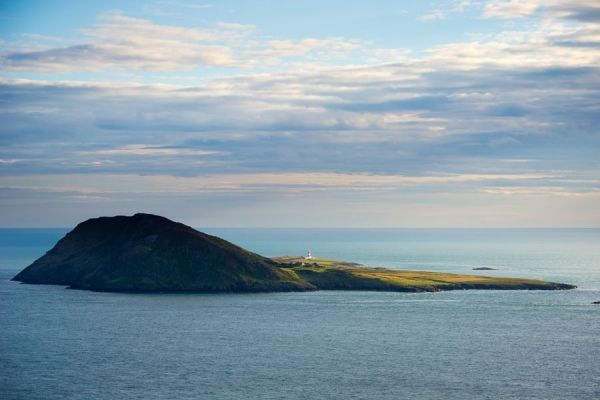 The very tip of Lleyn—think of it as the ‘Land’s End’ of North Wales—is a broad square headland known as Uwchmynydd. It is possibly one of the most treeless places in Wales, its flat green fields separated by low, earth-covered stone walls known as clawdd. They give the landscape a distinctive, geometric look with no trees or even bushes to soften this wind-battered platform on the brink of the Irish Sea. Aberdaron is the only settlement of any note in this far-flung-corner. 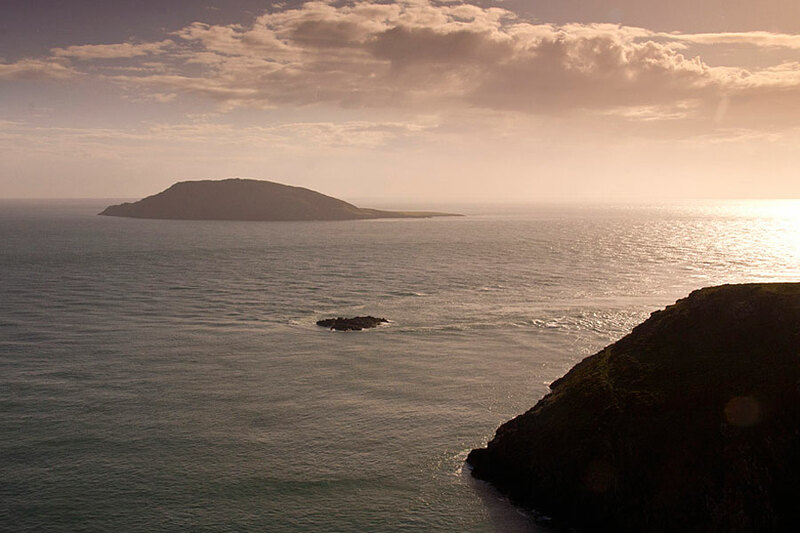 Despite its size it has been firmly on the map since the Middle Ages as the penultimate destination on what in its day, would have been an arduous and dangerous journey—the Pilgrimage to Ynys Enlli or Bardsey. Bardsey lies off the southwest tip of Lleyn, the last in a line of distinctive coast hills that run the full length of the peninsula. The low land between was flooded as sea levels rose in prehistory and today—although little more than a mile or two separate it from the mainland, it is possibly one of the most dangerous stretches of water on the Welsh coast. 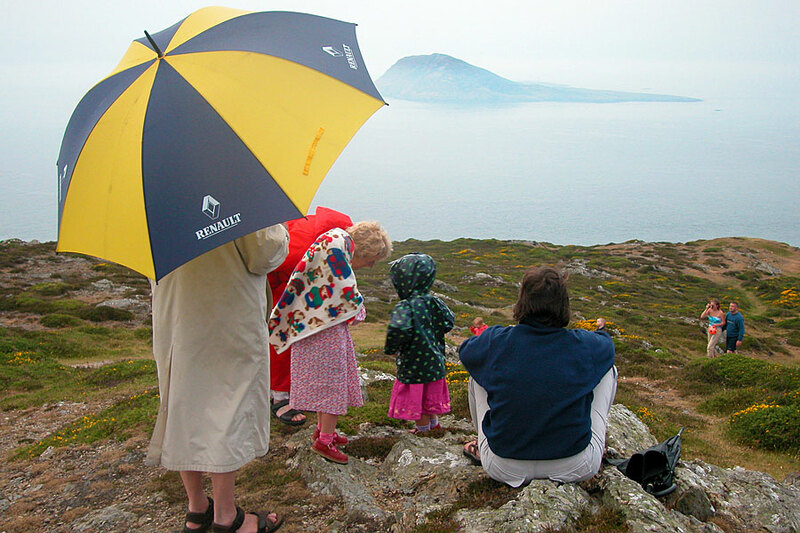 Pilgrims arrived at Aberdaron and waited for suitable weather for the final leg of their journey and no doubt the locals made a good living as relentless gales and stormy seas extended their stay. Aberdaron is still great place to linger. There is a lovely beach here and although the summer visitors flood in for a short holiday season, for much of the time it is almost empty. 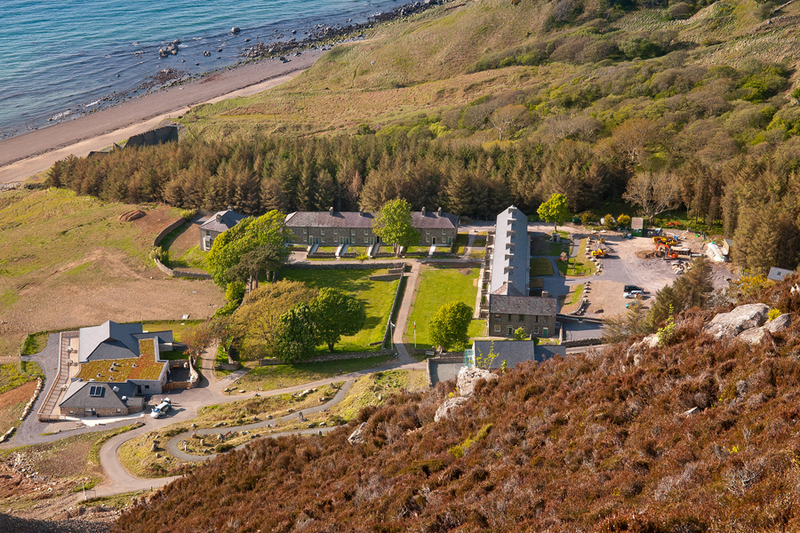 Maybe the new coastal path will change things bringing more ‘pilgrims’ throughout the year. I arrived in early May in glorious weather to find the village almost deserted. There was a choice of parking spaces and no queues in the two village pubs. My personal preference is the Ty Newydd. With its balcony overlooking the beach you can imagine yourself somewhere much more exotic in the right weather. Good food and a range of local beers completes the package. I wanted to walk the entire section of coast from Mynydd Anelog on the north coast back to Aberdaron, a circuit of around 8 miles requiring a short section along lanes to start. This part of Lleyn is so quiet out of season that the two-mile lane section passed without a single vehicle of any kind. A short, overgrown field path lead up onto the lower slopes of Mynydd Anelog where I was able to join the coastal path. 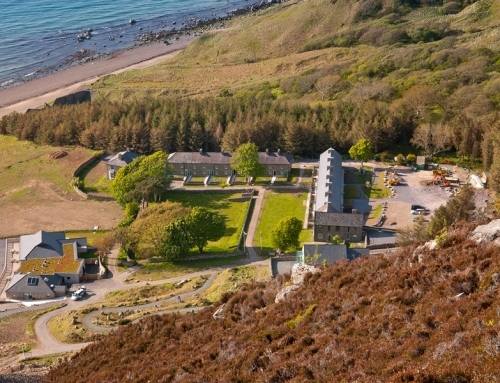 Mynydd Anelog is an area of common land with grand views and a scattering of tiny cottages perched on the edge of the cliffs overlooking Caernarfon Bay. I couldn’t resist a look through one of the cottage windows as we passed by. It looked like every author’s dream retreat. Two tiny rooms with rough stone floors separated by ancient wood panelling. The bedrooms were tucked into the low roof space reach by an old ladder. Outside there were two bleached chairs and a block of stone used as a table. The view reached northeast up the full length of Lleyn to the distant skyline of Snowdonia. “I bet it’s miserable here in the winter” I muttered to myself trying unsuccessfully to find something negative about the place. A stiff north-easterly hit us as we rounded the seaward side of Mynydd Anelog where a new section of path contours high above the sea with expanding views west to Mynydd Mawr and Bardesey. This is coastal walking at its best to rival anything in North Wales. The path had improved since my last visit making the circuit of Porth Llanllawen straightforward. I could see where new sections of path were being formalised in the climb to Mynydd Mawr, an area of open, heathery hilltop with an old coastguard lookout on its summit. The old buildings provided shelter from the wind allowing us to take in the stunning situation 150 metres above the waves. On a lovely summer evening Bardsey ‘floats’ in a golden sea set against the setting sun. The next section of the path takes you down across the green gassy platform above Saint Mary’s Well. 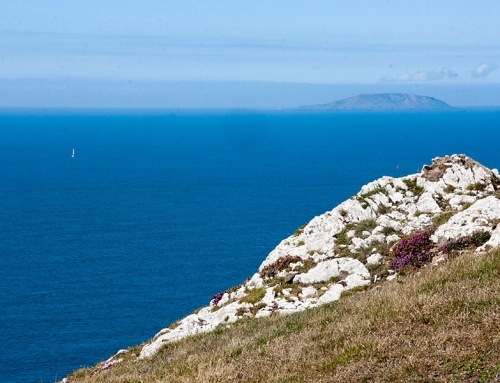 This is a square-cut rock platform that you need a trained eye to identify, but is reputed to have been one of the embarkation points for the short boat crossing to Bardsey. Between here and Pen y Cil, the southern-most tip of Uwchmynydd, the path crosses lovely, open coastal heath with grand views out to Bardsey. Look out for porpoise and seals along this stretch. Beyond Pen y Cil, the coast turns east on the final leg back to Aberdaron. The path here has always been good but I noted one or two improvements and new signage carrying the Wales Coast Path logo. Partway along this section the path drops steeply to the little inlet of Porth Meudwy, where a host of fishing boats, nets and lobster pots let you know that working the sea is still very much a way of life here. Porth Meudwy was another of the embarkation points for Bardsey and you can still take a boat trip to the island from here. The final stretch to Aberdaron is along a new section of path in fields high above the bay, but I took my usual route along the beach, fording the river as it fans out across the sand. The balcony of the Ty Newydd made a great end to the day. The wind had dropped and the only sound was the playful chatter of a family down on the water’s edge. 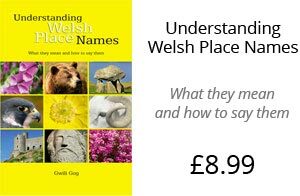 This article first appeared in Walking Wales magazine in 2013, and is re-published here with the author’s permission. Copyright © Carl Rogers 2013. All rights reserved. 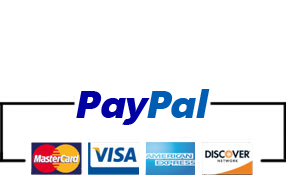 Carl Rogers is a director of Northern Eye Books Ltd. 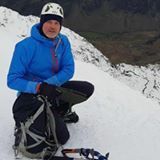 He is a climber and photographer who has written more than twenty outdoor and walking books. He is also a member of the Outdoor Writers and Photographers Guild.